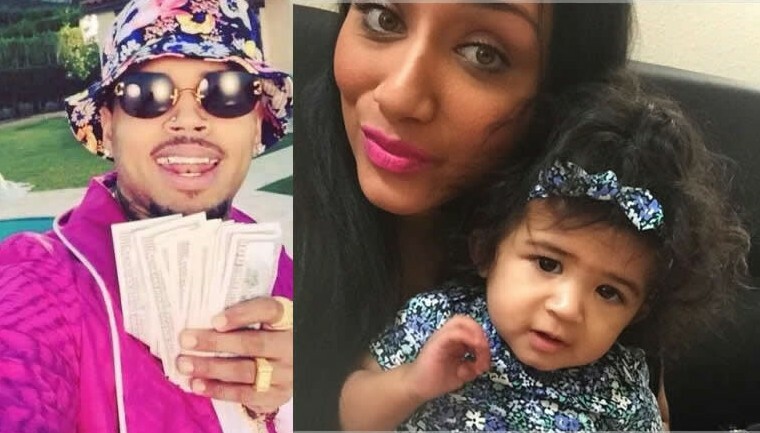 Chris Brown is reportedly going to battle his baby mama Nia Guzman in court in order to pay less child support for their nine-month-old daughter, Royalty, whose existence was a secret until this week. According to TMZ, the performer made a deal with Guzman when he found out about Royalty last month, agreeing to monthly support payments higher than a judge would have ordered, in exchange for Guzman’s public silence about their child. When the baby bombshell exploded, Brown allegedly blamed Guzman (the names Nia Amey and Nia Gonzalez have also been used in various press reports) for the leak and is now acting to nullify their arrangement. TMZ says Brown’s legal camp is preparing to file court documents asking for a judge to require that he pay formal child support. It’s expected that he’ll wind up paying Guzman less under such a judgment. Brown’s baby news broke on Tuesday. Hours later, Karrueche Tran publicly broke up with him, saying she wanted no part of the baby drama. Meanwhile, another man claimed on social media that he'd been wrongly led to believe he was Royalty’s father.